World Wildlife News » A step ahead in saving another endangered species. A step ahead in saving another endangered species. FARMERS have never liked wolves. That is why wolves are rare where farmers are common. Fashion, though, is swinging round to the wolf’s point of view in many places where town-dwellers are even more common than farmers and the big, bad wolf is just a fairy tale, rather than a sheep-rustling reality. Over the 8 days of WILD9, we gathered together to THINK, FEEL and ACT. 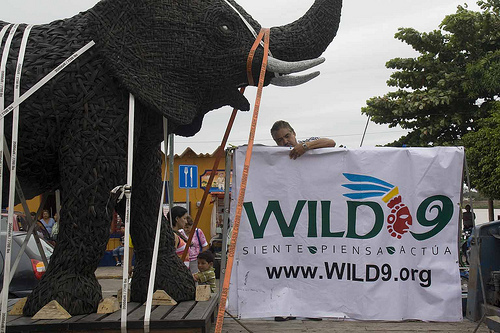 Among the many outcomes of WILD9 are the Message from Merida, an international call to action with specific policy guidelines to integrate wilderness and biodiversity conservation into global climate change strategy; the first international agreement on wilderness conservation , agreed and signed by the governments of Mexico, Canada and the US; the largest gathering ever assembled of conservation photographers and their work; new protected areas in Mexico and elsewhere including the intention to create the first marine wilderness areas in the US and the commitment to significantly increase protected area coverage in Yucatan; extensive use of new, web-based communications tools to reach a large and diverse group of international participants beyond the delegates at WILD9; and, engaging young leaders on substantive issues of wilderness, biodiversity and climate change. Stay tuned for more information and announcements from WILD9! No matter what experts may tell you saving a bird of prey will to a large extent depend on the “morale” of the bird at the time that you try to save it plus it`s overall physical condition is also important. At our office we had to save a little young hawk. “Hawkeye” came to us unexpectedly. A volunteer working at the office noticed a bird with something in its beak on the ground. Binoculars showed that it had nothing in its beak for it was a hawk with the famous curved beak. 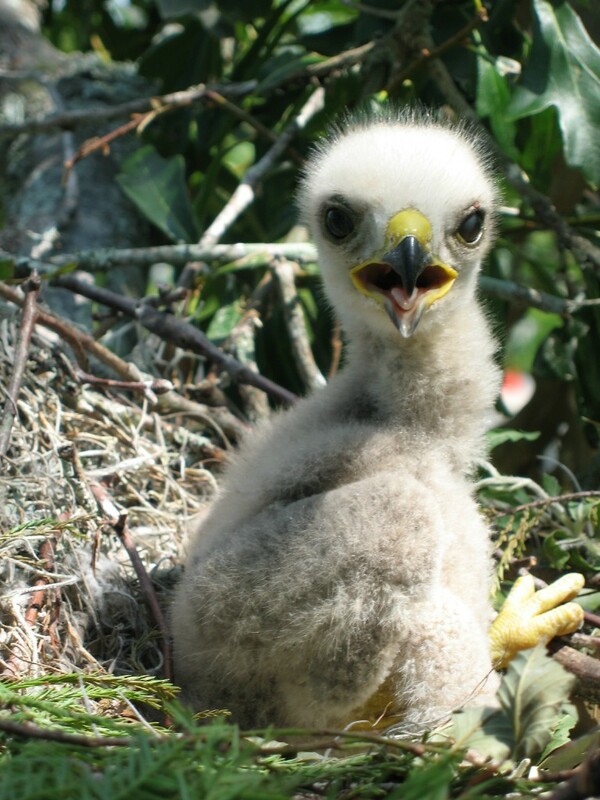 A baby hawk, but strong & well grown although he could not fly. “Hawkeye” was being dive bombed by Swallows & he ran for shelter. He ran to our main office to get under the shadow of the building in order to hide from the dive-bombers. When he arrived we scooped him up gently & brought him inside. Here we put him in a temporary cage. Unfortunate but necessary. We feed the little chap on raw red meat & he ate with great gusto. All that day he had a fine appetite. The next day we prepared a large aviary made up of wood for him to consider home while we fed him & built him up. With all creatures there is a learning experience. “Hawkeye” was no different in that respect. On the second day he refused to eat. At all. Anything! 1. Pigs snuggle close to one another and prefer to sleep nose to nose. They dream, much as humans do. In their natural surroundings, pigs spend hours playing, sunbathing, and exploring. People who run animal sanctuaries for farmed animals often report that pigs, like humans, enjoy listening to music, playing with soccer balls, and getting massages. 3. 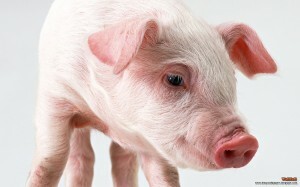 Newborn piglets learn to run to their mothers’ voices and to recognize their own names. Mother pigs sing to their young while nursing. 5. Pigs appear to have a good sense of direction and have found their way home over great distances. Adult pigs can run at speeds of up to 11 miles an hour. 7. Pigs do not “eat like pigs” or “pig out.” They prefer to eat slowly and savor their food. 9. Pigs are clean animals. If given sufficient space, they will be careful not to soil the area where they sleep or eat. 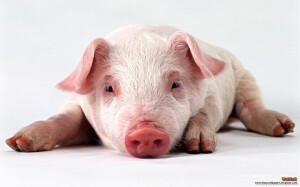 Pigs don’t “sweat like pigs”; they are actually unable to sweat. They like to bathe in water or mud to keep cool, and they actually prefer water to mud. One woman developed a shower for her pigs, and they learned to turn it on and off by themselves. These are just a few of the many reasons not to eat pigs. 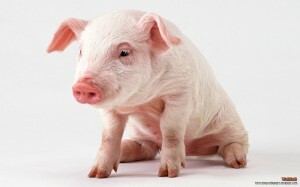 Click here to learn more about pigs. BRUSSELS, April 24 (Reuters) – European ambassadors approved a European Union plan to ban imports of furs and other products from culled seals on Friday, moving the 27-nation bloc one step closer to a trade clash with Norway and Canada. Both seal-hunting nations have warned the EU in recent weeks that they could challenge the EU ban at the World Trade Organisation, the global trade watchdog, if it takes shape as currently foreseen. “Nothing should now stand in the way of this ban being adopted,” said an official from the EU’s Czech presidency, which brokered a deal this week that will exclude hunts by Inuits. “It needs to go before the European Parliament in May, but that should be a formality because parliament negotiators have already agreed to it informally,” the official added. Every year, an estimated 5 to 10 million pets are euthanized in animal shelters in the United States. Why? Because there is no place for them to go, no homes for them. 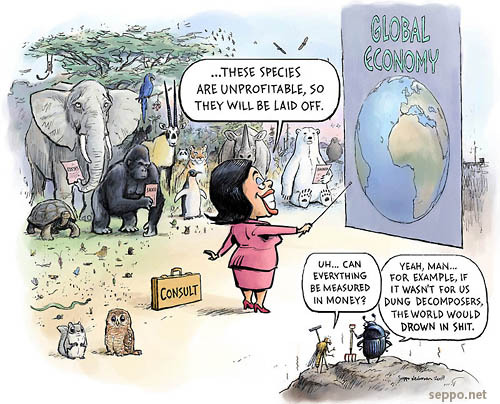 Yet, we continue to let animals roam freely, unneutered and producing more unwanted animals. Their offspring often go from birth to the shelter where, if they are not adopted before their 6 days are up, they will be killed. That is where the expression “born to die” applies; newly born into this world only to be put to death. What a tragic waste of life. There is a solution for this overpopulation problem, and that is to spay and neuter. “Roxie” of Roxie Video Productions is a small golden terrier mix. Animal Control found Roxie on the street with one eye hanging out of the socket. They promptly brought her to Lied Animal Shelter where the fine doctors fixed her up. After a rehabilitation period with a foster mom, they adopted her out to her new home with Joanie.